This topic contains 4 replies, has 2 voices, and was last updated by Anh Tran 4 months, 2 weeks ago. I got the frontend form to work which allows me to add new records to a given CPT. In this case, my CPT is Packages. 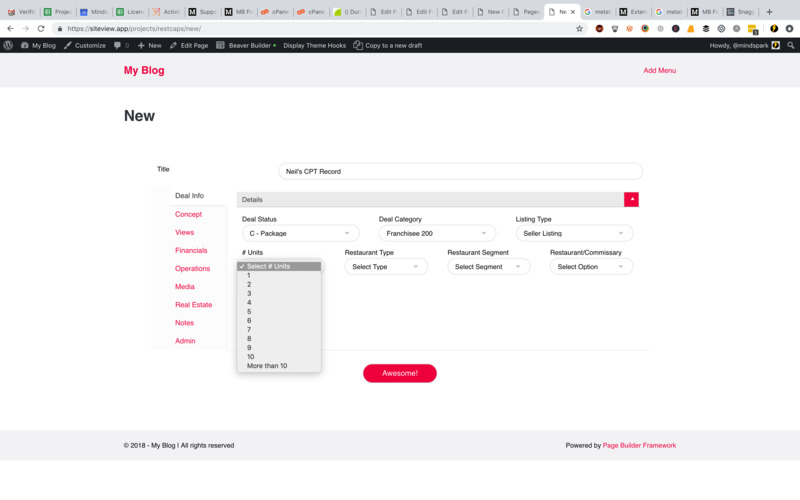 since the shortcode displays all custom fields for my form “packages”, I’m assuming that by entering the data on the front end and also displaying the post title on the same form that all of the custom field data will be saved to a specific record. unfortunately, the custom field data isn’t saving. what I get is a new record in “packages” with the correct title, but none of the custom field data. see here: https://snag.gy/xDwMzr.jpg. 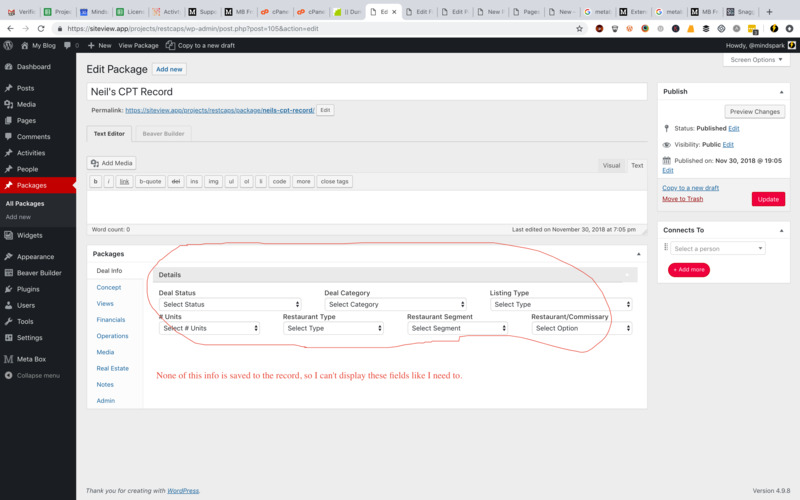 you can see I have created a new title and entered data in the custom fields. That’s weird. Can you send me a temporary account to check on your site?